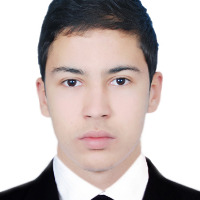 An Engineer student in Computer Engineering at ENSET Mohammedia, Morocco, I develop web applications using PHP and Laravel. I have experience building eCommerce websites and APIs using Laravel, and mobile applications using ionic. I'm also experienced in building static websites which are SEO friendly and fully responsive. I work with passion and perfection. I always look for maintainability and extensibility of the projects by using coding best practices and standards such as PSRs and design patterns.